Discussion in 'Collecting' started by wookiee_cookiee, Feb 15, 2015. 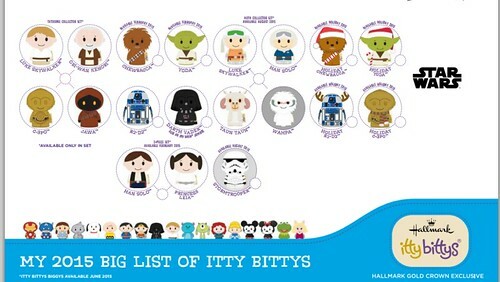 This checklist shows the itty bittys to be released later in 2015. Bossk and Dengar join Hallmark's itty bittys® line with a Star Wars Celebration-exclusive two-pack of the fearsome bounty hunters seen in Star Wars Episode V: The Empire Strikes Back. Available exclusively at Star Wars Celebration event, April 16-19, 2015. Love them! 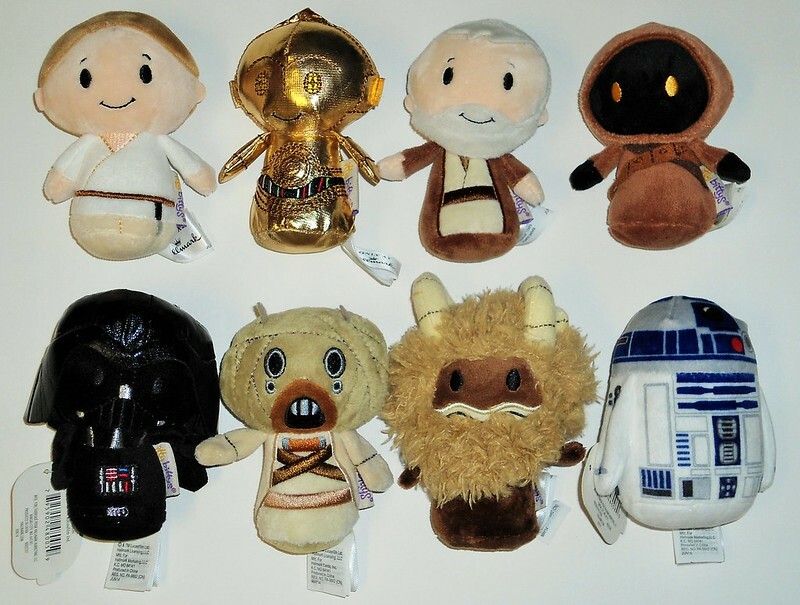 I have them all except the Bantha and Tusken NY comic con set. Looking for one at a good price and will need the Celebration exclusive. 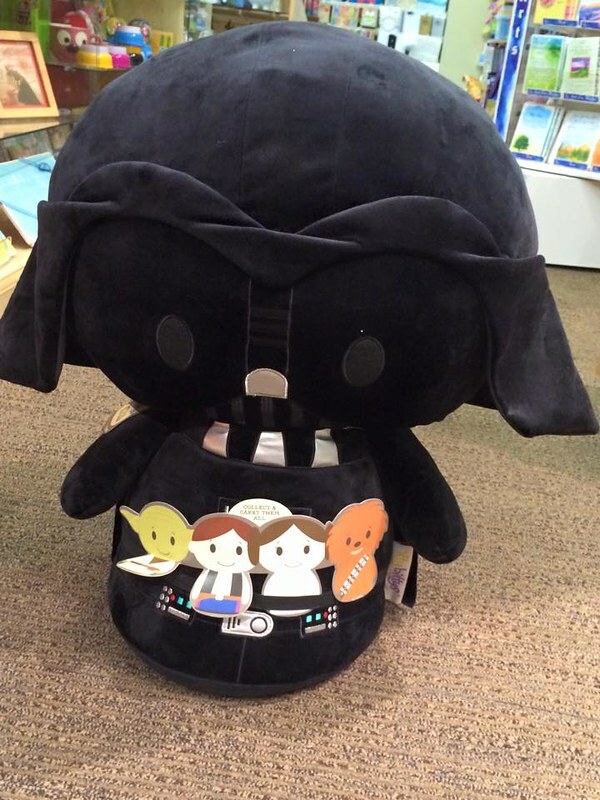 Had to buy the giant Vader. Anyone else and I probably would have passed but I am a huge Vader collector so had to have him. I was lucky and had a friend at NYCC, I have to try and return the favor and get the Celebration set for him in a few weeks!